Whether you're running a small Garry's Mod server or one of the largest Arma 3 communities, our panel will suit your needs. Our panel is built off of the secured and stable Pterodactyl panel. We call it what it is, a game panel. We listen to what the users want, such as Auto-Installers, Backups, DDoS Statistics and much more. ELHostingServices is proud to offer live resource visualization. 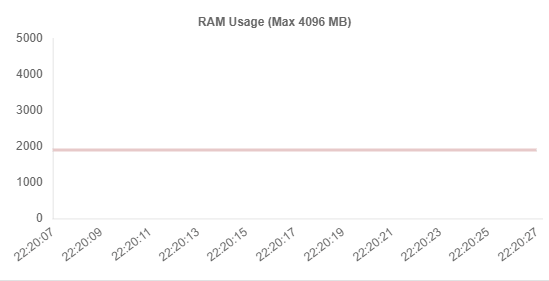 Our Simplistic Resource Monitoring allows you to view your CPU and RAM usage in real-time; this gives you the the ability to diagnose problems if they ever were to arise. 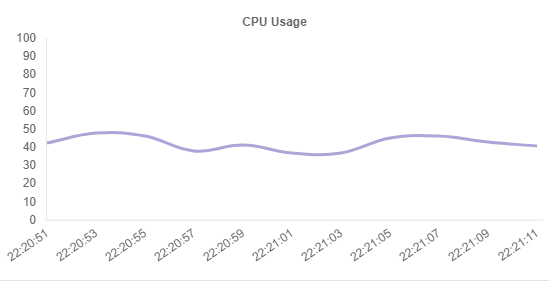 Unlike many hosts, we don't limit your CPU usage, and we guarantee this by allowing you to view these statistics directly. In addition to our resource visualization, our extensive API allows you the ability to show off your server stats to your community. Our Game Panel has many features and is continuously getting more updates. We listen to what the users want and implement it. DDoS Statistics? Done. Auto-Installers? Done. Game Backups? Done. All of these features were requested by our users and added on the same day. ELHostingServices has spent over a year developing our custom DDoS protection. When it comes to DDoS attacks, we take pride in protecting your server. Our Game Panel offers you the ability to view DDoS attacks as they happen; this means you don't need to guess whats going on. Copyright © 2019 Encrypted Laser Limited ("10286642") trading as "ELHostingServices". VAT No. GB289651743. All Rights Reserved. All trademarks and registered trademarks are the property of their respective owners.